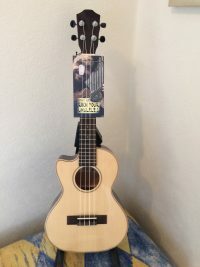 Baton Rouge UR-11S Soprano Ukulele. The Best Starter Ukulele by Far ! 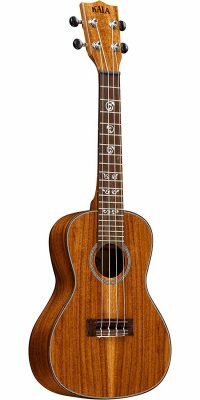 Baton Rouge UR-11S Soprano Ukulele-Steve’s favorite ukulele. 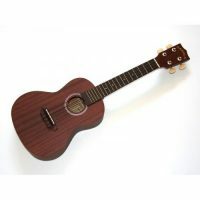 The Baton Rouge UR-11S Soprano Ukulele is well built,plays wonderfully and is always in tune.So if you want to get started on the ukulele then look no further,if you already play uke and want an every day ukulele then look no further !Also the Baton Rouge is incredibly affordable so give it a try. The Ukulele is used for traditional and popular music in Hawaii. The tuning is related to the guitar and chord shapes are the same as the top 4 of a guitar. Note that on the soprano uke the 4th string is tuned an octave above what you’d expect. This re-entrant tuning is not traditional to all sizes of ukuleles, but it is commonly used on all of them except the baritone.